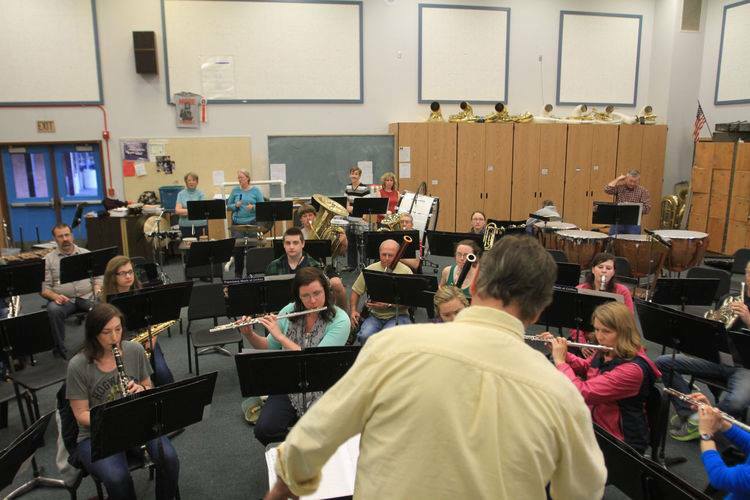 This page features a collection of materials related to the history of the Klamath Falls Community Band. Photos and documents can be viewed in the gallery on the bottom of this page. 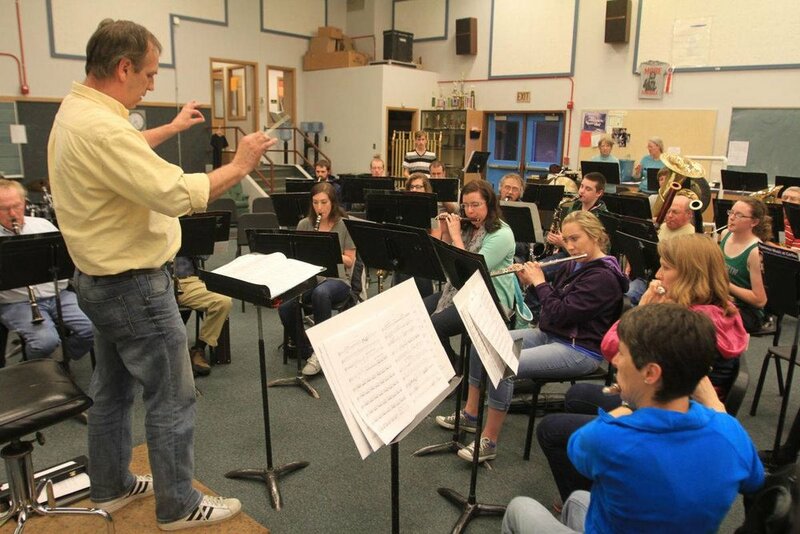 The first concert of the Klamath Falls Community Band after several years of inactivity. This concert featured popular hymns and spiritual songs in the spirit of Easter. The concert was held at Mills Auditorium in Klamath Falls, Oregon. In celebration of Independence Day 2015, the Klamath Falls Community Band held a concert at Veteran's Park in downtown Klamath Falls, Oregon. The Klamath Falls Community Band held their first Christmas concert on Thursday, December 3, 2015 at the Ross Ragland Theater in Klamath Falls, Oregon. The concert featured a medley from "The Polar Express" movie as well as a live-reading from the children's book of the same name. 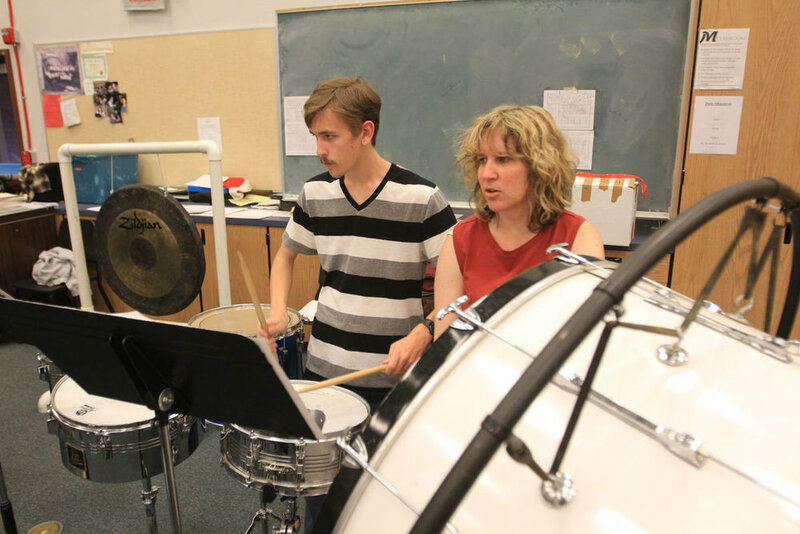 The Klamath Falls Community Band's Spring 2016 concert featured some hits from Broadway and a special guest vocalist performance by Nathalie Reid on "Blue Moon" and "I Dreamed a Dream." The concert was held in the Sacred Heart Auditorium in Klamath Falls, Oregon. The 2016 Independence Day Concert was held at the Klamath County Fairgrounds on South Sixth Street Klamath Falls, Oregon. The concert featured a variety of patriotic songs and a special performance of "Bugler's Holiday." The second annual "Sounds of Christmas" Concert was held at the Ross Ragland Theater in Klamath Falls, Oregon, on December 1, 2016. The concert included a duet of "Baby It's Cold Outside" with Smitty Parratt on saxophone and Ted Strunk on trumpet. 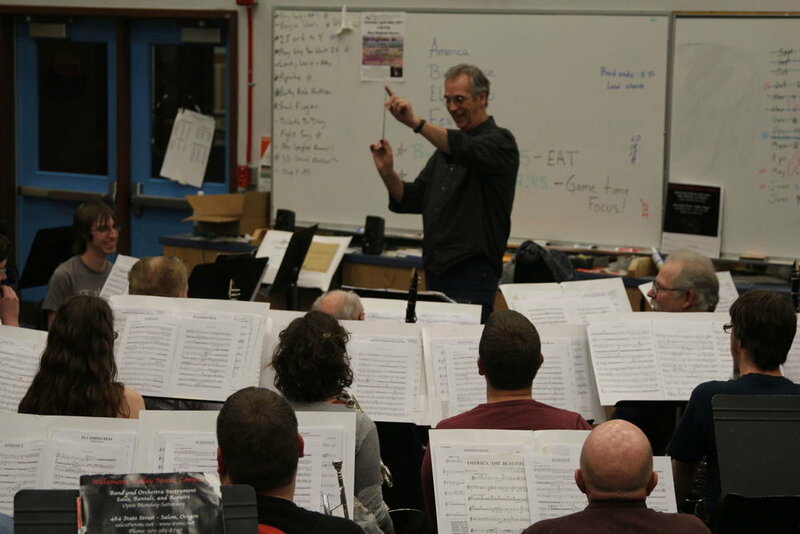 The concert also featured a special performance of "'Twas the Night Before Christmas," narrated by Ross Ragland Theater Executive Director Mark McCrary with accompaniment provided by the Klamath Falls Community Band. 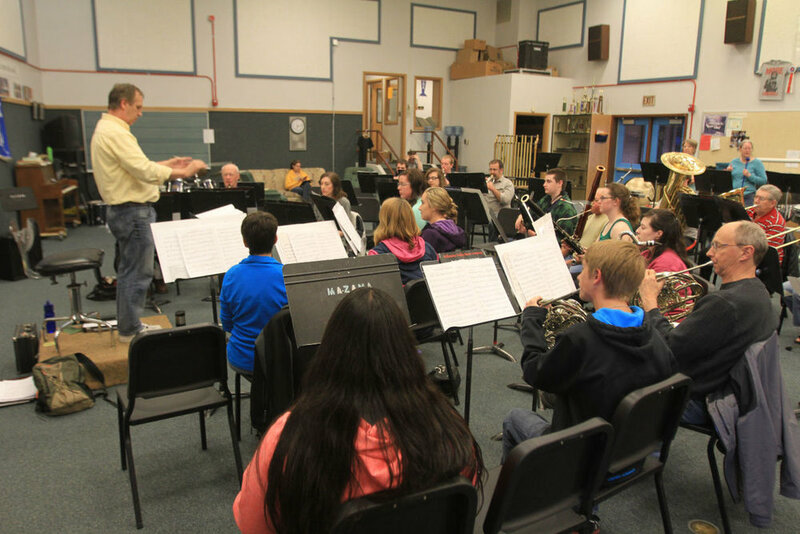 The Klamath Falls Community Band's Spring 2017 concert was held at the Ross Ragland Theater in Klamath Falls, Oregon on April 23, 2017 at 2:00pm. The concert featured music representing different cultures from around the world. The Klamath Falls Community Band's Independence Day 2017 concert was held in Veteran's Park in downtown Klamath Falls, Oregon. The concert was performed right after the downtown parade, and there was a record audience of over 250 people who came to listen to the band. The theme highlighted music from different war-time eras of the United States, beginning with the Revolutionary War up to the Vietnam War. The concert concluded with the "Armed Forces Salute" and the "Stars and Stripes Forever." The Klamath Falls Community Band's third annual "Sounds of Christmas" concert was held at the Ross Ragland Theater in Klamath Falls, Oregon, on Wednesday, December 6th 2017 at 7:00pm. The concert featured a number of Christmas classics, and again featured Ross Ragland Theater Executive Director Mark McCrary in a narration and performance of "Twas the Night Before Christmas." 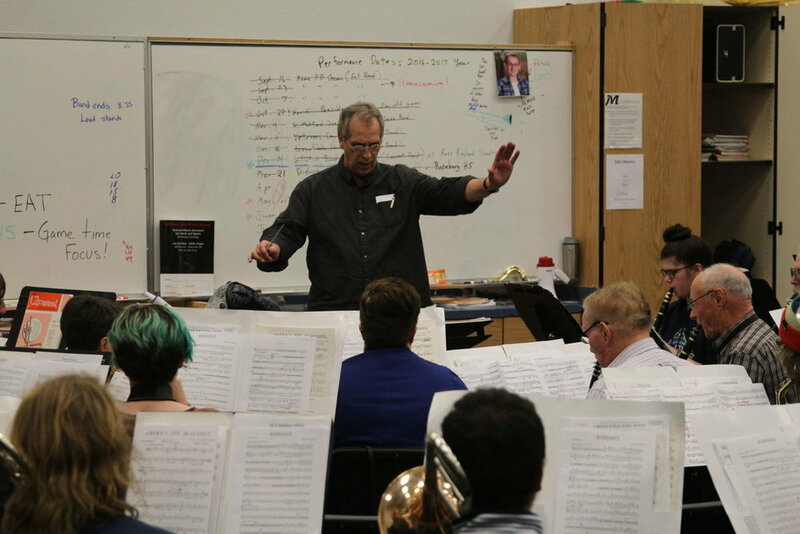 The Klamath Falls Community Band's Spring 2018 concert was titled "Bits and Pieces," and was held on Sunday, March 18, 2018 at 2:00pm at the Ross Ragland Theater in Klamath Falls, Oregon. The concert featured internationally acclaimed jazz trombonist Harry Watters.